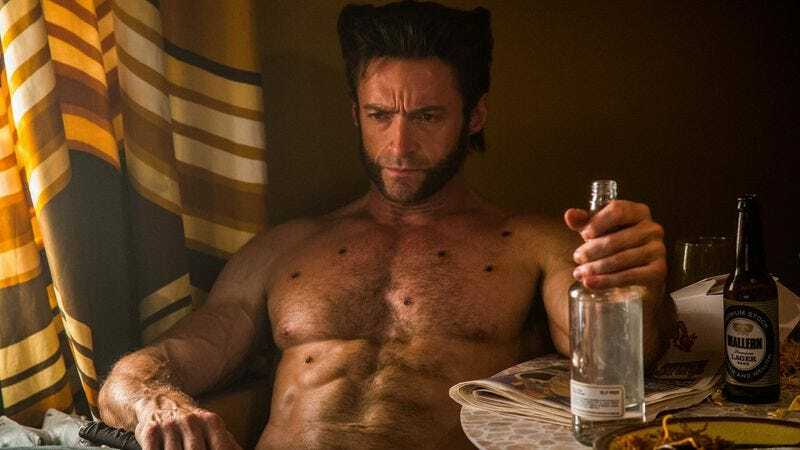 Just yesterday, Hugh Jackman and director James Mangold revealed the first poster for the third Wolverine movie—now simply titled Logan—and teased that the film would feature an older, boozier, and more worn-down Wolverine than we’re used to from the other X-Men movies. Essentially, it seems like it’ll be a version of the character who’s not doing so well. According to some more details obtained by The Wrap, though, he’s not the only one who won’t be doing well. Apparently, the movie will take place in the year 2024, with the mutant population dying out and a “government-type operation” known as “Transigen” using mutant kids as “killing machines.” One such kid is a young girl who Logan decides to mentor (probably the same girl whose hand is on the poster), with The Wrap saying she has claws like he does—meaning everybody’s prediction about her being a version of Wolverine clone Laura Kinney from the comics was correct. We also now know that Stephen Merchant will be playing a mutant known as Caliban, shooting down our sarcastic theory about him playing futuristic badass Cable. Mangold himself has also revealed a new detail, tweeting out a photo of an extremely ancient-looking Patrick Stewart. The Wrap story says that Logan and Caliban take care of Stewart’s Professor X, adding that his telepathic powers are “unstable” and that he sometimes doesn’t remember who Logan is. Logan will be in theaters on March 3, 2017.